Why train with CrossFit 100 instead of joining a gym? All your workout routines are designed for you. CrossFit 100 is built on change and innovation, always evolving, so you will always be challenged, and never be bored. With limited class sizes of 10, you have personalized attention from our qualified trainers, just like you would with a personal trainer. 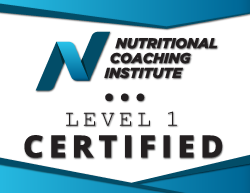 Nutrition guidance is included and has a major role in the CrossFit 100 lifestyle. The supportive and encouraging community of CrossFit 100 is top notch! Is this really for anyone? Any fitness level? Functional movements are natural everyday movements that are essential in our everyday lives. These movements are performed when muscles contract from the body’s core to the extremities. Functional movements are movements we perform countless times each day without ever thinking about them: squats mimic the movement of sitting down into or getting up from a chair; deadlift are the same movement as picking up something from the floor. Crossfit’s goal is: “to forge a broad, general and inclusive fitness … a program that would best prepare trainees for any physical contingency – prepare them for not only for the unknown but the unknowable”. The 10 skills: Cardiovascular and respiratory endurance, stamina, strength, flexibility, power, speed, coordination, agility, balance and accuracy. The Hopper: The ability to do anything that is thrown at you. He or she is fittest who can do the most things well. It’s simple enough; CrossFit trains you to do short, medium and long training days. Your body becomes accustomed to quick, fast bursts of speed or a 1 rep max for weight lifting, and the ability to do endurance training. The goal in CrossFit is not to become the best at everything; it is to successfully do everything well. Metabolic Pathways: CrossFit is a blend of metabolic pathways – phosphagen, glycolitic and oxidative. These metabolic pathways stand for the energy exerted for each human action.Phosphagen pathways are very quick, high-powered activities – sprints, deadlifts, etc. Glycolitic metabolic pathways are activities that last several minutes – 400 meter runs, 100 push-ups, etc.The oxidative pathways are low-powered and high-endurance activities that last in excess of several minutes – marathons, met-con workouts, etc. This represents wellness in every aspect throughout our lives. People who eat right and exercise consistently in all of the models that support CrossFit will be healthier and able to do more throughout life! CrossFit helps people take care of themselves for longer throughout the aging process and fight off infections and sickness better than someone who is not fit. Don’t accept defeat in getting knocked down; Gain strength in pulling yourself back up! CrossFit’s definition of fitness is “work capacity across broad and modal domain.” Every workout can be different by mixing up the various exercises as we learn them. There are infinite possibilities in CrossFit workouts, and the reps, weight and intensity options only depend on your where our imaginations take us! On a very personal note, CrossFit has been the sole exercise program that has kept me interested long enough to stick with it. The constant variance and never-ending self-improvement are only two of the things that keep me interested in doing what I do 6 days a week! It’s all about making myself fit so that in later years I am able to do what others cannot. I will be able to care for myself and do for myself when my peers will only be wistfully reminiscing “… oh, remember when I could …?” Well, they WON’T be saying that if I have anything to do with it – I hope to bring ALL my friends into the Crossfit way of life so that we’ll all enjoy long and productive golden years!! I did not know what I was getting myself into in 2010 when I started this journey, but every day I find myself more eager to conquer those difficulties I have yet to master, and I cannot wait to challenge myself with what I have yet to attempt! CrossFit is not only an exercise regime, but also a way of life. I find the encouragement of other CrossFitters to be a unique support network that I have never seen before in any gym or sport of any kind. We are there to help each other reach goals that we set for ourselves and to push beyond those goals and give encouragement to those who feel fatigue is sometimes stronger than their own will. It is truly a community of wellness, and I am proud to be a part of it! My current goal is to train others in Crossfit and bring them to optimal health, and I hope that have my children continue to follow by example. When I turn 80 I will be ABLE! I will be able to carry my own groceries and care for myself and I will CrossFit with my grandchildren!! I like to imagine those sweet little voices saying, “My grandma can beat up your grandpa! !” I like that! When transitioning from a typical American diet to a healthy diet, which should never be mistaken for the same thing, we recommend a two-step process. First, transition to eating only quality foods that our bodies are made to eat. This is the tough part for most people because it involves eliminating (or at least drastically reducing) grains, bread, and other refined and processed carbohydrates. Shop the perimeter of the grocery store for lean meats, fruits and vegetables, nuts, and seeds. You’ll often see this referred to as eating “clean” or eating “Paleo.” Eating Paleo technically means you follow the Paleo diet, which eschews legumes, dairy, grains, and salt completely. My spouse will never go for this. What should I do? This isn’t a nutrition question, but rather a question of leadership. First, sticking to any nutrition plan will be very difficult if your spouse isn’t on board. The simple task of preparing two different meals for two people is by itself contentious. Furthermore, when your spouse sees you making good choices he/she may question or ridicule your decisions due to feelings of guilty or inadequacy. Your spouse may also think that you are shoving a diet onto them because you are unhappy with them. These are difficult barriers, even if you do everything correctly. We suggest presenting the information that has fueled your decision in a logical way that isn’t emotionally charged. It’s important for loved ones to know that your desire is simply to improve your family’s health and fitness. If after addressing these issues you still arrive at an impasse then you may simply have different goals than your spouse or have a much greater desire to achieve them. Feed them the same quality foods, but don’t worry about regimenting total volume of food for a growing child. Just make sure they eat whole foods and get some protein, fat, and quality carbs (fruits and vegetables) at every meal. If you think they’ll protest when you serve them grilled chicken and vegetables rather than chicken McNuggets and macaroni and cheese, then we suggest you be a leader and stand your ground on what’s best for your child–not what satiates their desire or temper tantrum at that moment. Sometimes being a leader is tough. I promise, they’ll eventually get hungry enough to eat what you serve. I’ve personally fed an infant grass fed ground beef and strawberries, and all he had to say was “Mmmmm!” Gerber wasn’t around 100 years ago, but humans were, and somehow we survived. If you are worried about pre and post-workout nutrition and timing but you’re still having a slice of banana bread and saltine crackers for lunch then you’re completely putting the cart before the horse. Get the basics right first and then let the details follow. So on to the answer…For optimum performance, in the 24 hours prior to a workout you should eat quality proportion meals from clean food sources, just as I recommend you eat every day. The only real question is what volume of food should you eat prior to a workout, and the answer is unique to every athlete. Almost nobody prefers eating immediately prior to a workout, in the 30 minutes or less before 3, 2, 1, GO! Most athletes eat an hour or more prior to the workout. Some athletes find they must fast longer prior to the workout in order to avoid nausea. However, your performance will suffer if you don’t consume some fuel before the workout, so make sure you’ve eaten a quality meal sometime in the 1 hour to 30 min prior. Only experimentation and finding what works for you will yield the answer, but I recommend having half of scoop of protein in water and maybe a two carrots sticks depending on your level of hunger. High glycemic load carbohydrates (vegetables, oat bran, brown rice, sweet potatoes etc. The science behind post-workout nutrition is that in the time window directly after high intensity exercise your body gets a “get out of jail free” card with respect to high glycemic carbs. This window spans from when you finish your last rep to 2 hours later, but is most potent in the first 30-45 minutes after the workout. Not only are you less affected by an insulin spike during this time, but your body can actually productively use that insulin in replacing glycogen.